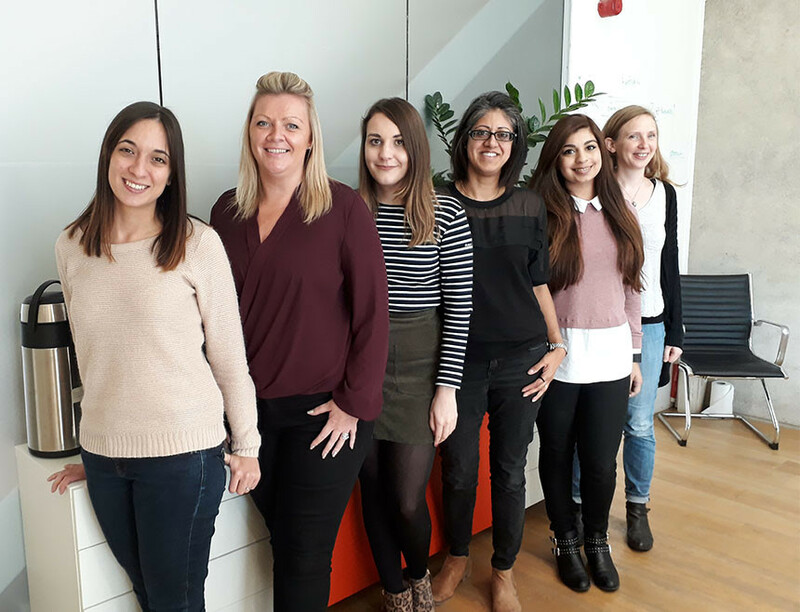 It’s been a real pleasure meeting McCann’s Head of Digital, Monica Tailor, at our recent Women in Tech meeting – another unique journey which the ladies at PushON got to hear about and discuss in detail. We took a look at how Monica’s built a healthy foundation for her family and found a balance for her parenting and work life. What really had my attention was how Monica and her husband have found a flexible way to manage their work and family life together, it really made us wonder if this would be the norm in the future. . Also, I feel like I’ve noticed a personality trait that is prevalent in women in higher positions in businesses: they don’t like to own their success. That’s something that is a distinct characteristic between genders and seems bizarre for someone who’s achieved so much! Monica’s family are a generation of natural hard-working business-people. They’ve been a real rock and the reason behind Monica’s driven attitude. Having arrived as refugees they’ve built a great business; through sheer hard work and resilience they have provided a legacy for her family that will live on for generations. Monica is a mum of two and a wife with a full-time career, having had her children at an age and time in her life where she could still build a career and have a good life balance. Following in her parents’ footsteps Monica and her husband set up their own development and digital marketing company in Leeds which allowed her to be a parent whilst building her career. Monica said she is defined better by personality traits, which include being ambitious, loyal, and hard-working. However, she admits to being impatient, stubborn and always right! 1998–2000 Monica first started her career as an account manager at an agency in London, one of her biggest clients being Apple. This was before the iPhone era, in Apple’s early days. She recalled it as being a great client, which offered her great experience. 2001–2012 Monica and her husband Matt set up their own dev/digital business in Leeds, which allowed her to become a fulltime mum and work in a job building her career. 2012–Present In 2012 Monica joined McCann to work as a Digital Account Director, moving from Leeds to Prestbury and in 2016 she was promoted to Head of Digital and now manages the design and development team at McCann. Weekdays involve a lot of hard work and flexibility juggling work and family life weekends are focused on spending time together. We talked a lot about how to juggle family life with having a career. Monica talked about the advantage of having a supportive, flexible family around her but importantly understanding what’s important to you and making it happen! Why are there few women in tech? Monica tells us that finding the right family–work balance isn’t always feasible to do, but you can only make the right decision once you have a family. It’s fairly rare for a mum to be a CEO or in a really high position at work – there’s a lot of dedication needed for both family and work. Also, it can be hard to build a career and finding the right family balance, but it is possible!